Arrive at Entebbe Airport. Your guide will be there waiting for you. Pick up and proceed to your accommodation. After Breakfast drive to Murchison Falls National Park. In Murchison Falls we visit the top of the falls if time allows. On our way, we visit the Ziwa Rhino Sanctuary. This is the only place in Uganda where you can see the white Rhino. Murchison Falls is the largest protected and most beautiful national parks in Uganda. One of the main attractions is the Nile, with the spectacular Murchison Falls, where the whole Nile is forced through a 7-meter narrow gorge and falls 60 meters. You are likely to see several bird species, elephants, giraffes, lions, hippos, crocodiles, buffaloes and maybe leopards. Early morning game drive or a boat trip on the Nile to the delta into Lake Albert or visit Budongo Forest for a jungle walk. In the afternoon we drive to Hoima town. After breakfast, we drive to Kibale Forest. You can make a walk around the lodge in the afternoon. During this walk, it is possible to see monkeys and birds. It is also possible to make a night walk through the forest to see the animals of the night, like bush babies (both activities optional). 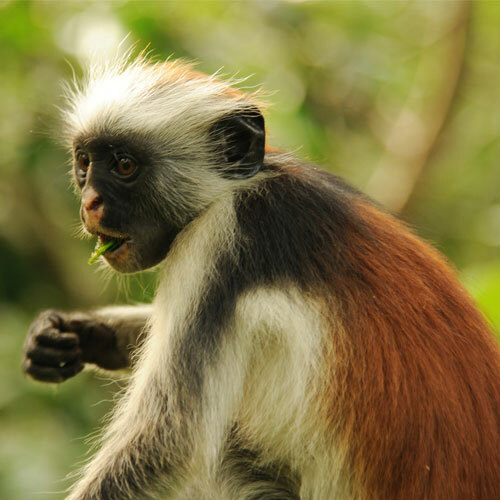 Kibale Forest is a spectacular jungle, with 13 primate species! Including chimps, baboons, black and white colobus, red colobus, grey-cheeked mangabey and L’Hoest monkey. You will have an early Breakfast and the drive to the park briefing point ready for chimpanzee tracking in either morning or in the afternoon depending on the permit availability. 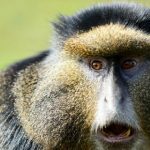 For people interested in primates and birds and willing to make another walk we can make a community walk in the Bigodi Wetland Sanctuary as well. 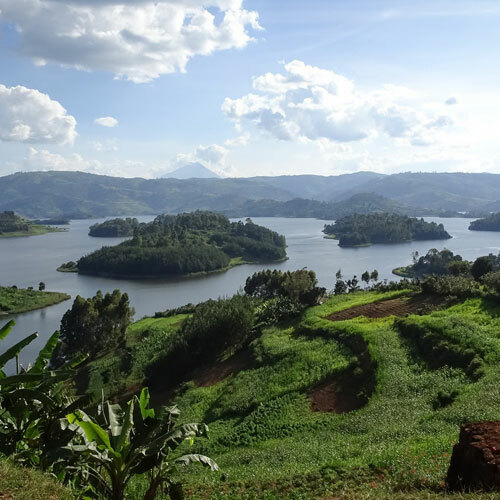 It is also possible to visit the local people or the crater lakes. After Breakfast, you will be driven to Queen Elizabeth National Park well known for her climbing Lions in the Ishasha sector. On our way, we pass the equator where we will make a stop. 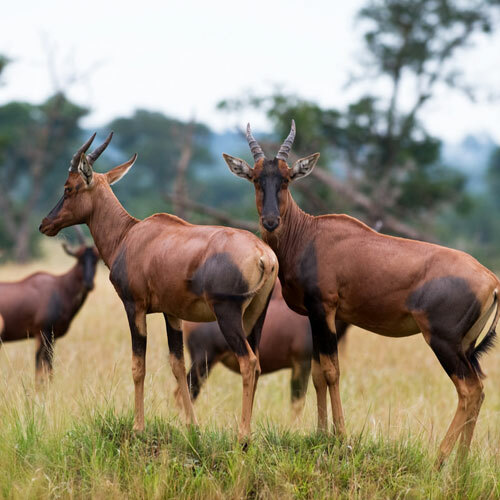 Queen Elizabeth National Park is one of the best places in Uganda that boasts of several Bird species, elephants, lions, many hippos, crocodiles, buffaloes and maybe leopards. After an early Breakfast, you will leave for an early game drive where you are likely to spot Lions Hunting, Buffaloes, several Hippos, antelopes, reptiles and many more plus several early birds. The game drive may last for about 4-hours and after visit one of the salt mining lakes. 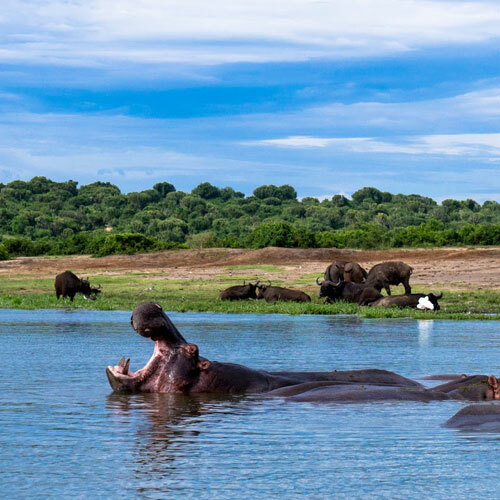 After your lunch in the afternoon, you will go for a boat cruise on the 40km Kazinga Channel where you are likely to take the best photos of most Animals including, elephants, buffaloes, hippos, crocodiles, several birds species like king fishers, eagles and many more. 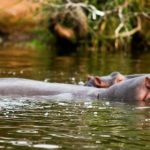 The Kazinga Channel is one of the highlights of Uganda and has the highest concentration of hippos in the world. After breakfast, we drive through Queen Elizabeth National Park to the Ishasha sector in the South. Game drive in the afternoon in search of the tree climbing lions. 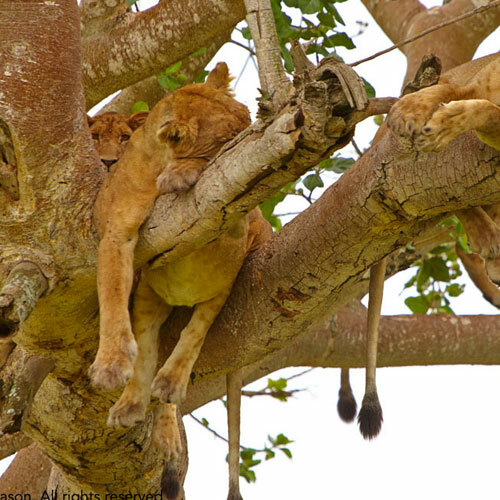 In Ishasha there are 4 feelings of pride of lions that climb the trees daily. Unique in the world! The other attractions of Ishasha are the Topis, not found anywhere else in this National Park. Today we drive to Bwindi Impenetrable. On our way, we pass through interesting villages and have some breathtaking views of the mountains. Bwindi Impenetrable is a unique jungle, with many monkey species. 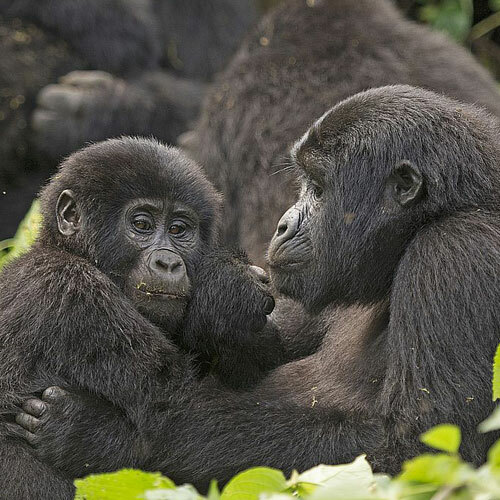 Bwindi is one of the two places in the world where you can find Mountain Gorillas! In the Early Morning, you will be driven to the briefing point of Gorilla tracking!!! After briefing departure with your ranger to search for one of the world’s most interesting and endangered animal, the Mountain Gorilla! You will spend one hour with one of our closest relatives. An experience you will never forget. After the activity, your guide will be waiting to take you back in the lodge and that marks the end of the day’s activity. 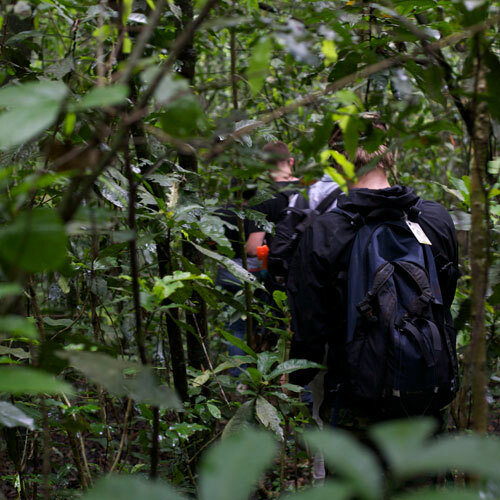 Optional activities for today: make a nature walk through the national park, go for a primate or bird watching walk, or visit the local people or pygmies (Batwa). It is also possible to do a second gorilla tracking on this day. Afterwards, drive to Lake Bunyonyi the deepest and most beautiful lake in Uganda and second deepest in Africa after Lake Tanganyika. You will have an early Breakfast and later go for a Boat cruise to view several water birds of the Lake (Bunyonyi) for 03hours. More Possible activities for today: make a nature walk, go for canoeing, take a swim or visit the local community (other activities are optional). After breakfast, we drive to Lake Mburo National Park. Game drive or a boat trip on the lake in the afternoon. In the evening we make a night game drive with high chances of seeing leopards. Lake Mburo is one of the 2 national parks with zebras and the only national park with impalas in Uganda. There are no elephants and lions except one, so walking safaris are possible. Game drive or game walk in the morning. On our way back we can make a stopover at the Equator for photos. Proceed to the airport for your departure. I consent to Topi Trail Safaris collecting my details through this form.